The predator of my predator is my friend. As we’ve talked about an awful lot on this blog (here, here, and here, for example), the same holds true for a lot of predators. Just because you kill and eat other animals, doesn’t mean you don’t have to worry about being killed yourself (as this hyena so unceremoniously discovered). But, just like prey animals and mesopredators can change their behaviour to minimise the risk of being killed, plants have a few tricks up their sleeves. They can spend a lot of energy growing big thorns, for example, that makes them less delectable. Or! They can grow in places that their predators avoid — the places where their predators’ predators hang out. Got that? It’s a trickle-down landscape of fear, which had, until now, only been really well documented in small experimental systems with critters like spiders and grasshoppers. But researcher Dr. Adam Ford and colleagues just published an elegant paper in Science showing that leopards and African wild dogs can make the Kenyan savanna less thorny through this cascade. 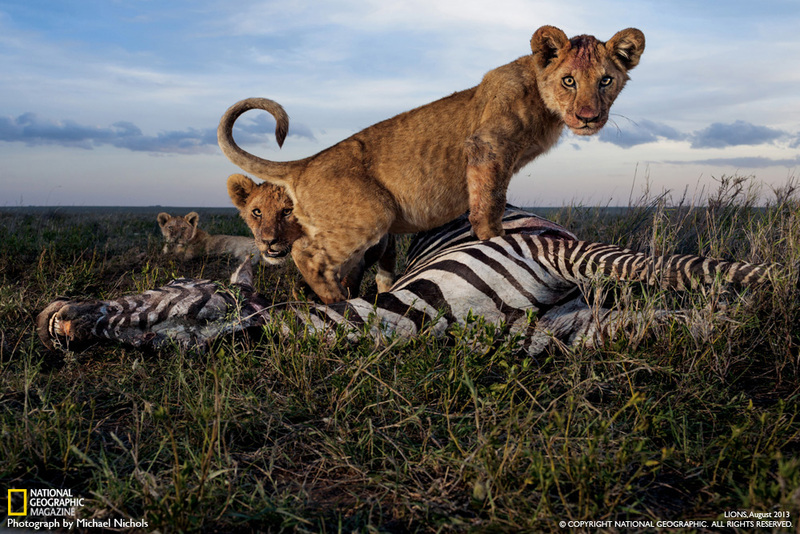 Basically, leopards and wild dogs eat impala. Impala eat Acacia trees. Impala much prefer to eat acacias with fewer thorns (because really, who doesn’t?) – and, if given the opportunity, impala will can eat these small-thorned acacias so much that they can suppress the acacia population. But! Leopards and wild dogs seem to be offering these tasty small-thorned acacias a refuge. Leopards and wild dogs spend most of their time in denser thickets, where they have more cover to hunt. Impala avoid these thickets and rarely venture in — when they do, however, they have a much higher probability of being killed. And this creates this spiral – those tasty small-thorned trees survive and grow in these thickets because predators scare impala away. So it’s a trickle down landscape of fear – a compelling and really exciting story. But, what sets Adam’s paper apart from many other attempts to document this effect in large predators, is the series of elegant experiments in which he and colleagues explicitly tested each step in this cascade. Controlling for habitat use to confirm that impala aren’t getting killed in the woods simply because they spend more time there (and in fact, they get killed more even though the spend less time there). Adding and removing thorns to acacias to see if it was really the thorns that mattered. 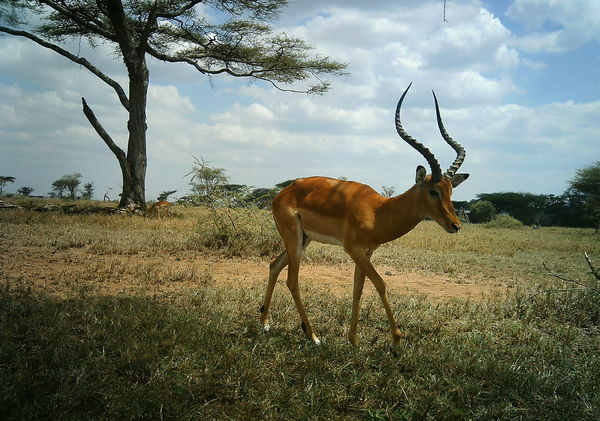 Creating herbivore exclosures to measure whether impala could really suppress acacia density. I spent my entire time reading the article alternating between saying “This is so cool!” and “I am so jealous!” It’s an amazing story. Read more about it here (or here, or or here)! I'm an ecologist studying how large carnivores coexist. I spend way too much of my time trying to stop hyenas and elephants from munching my camera traps!